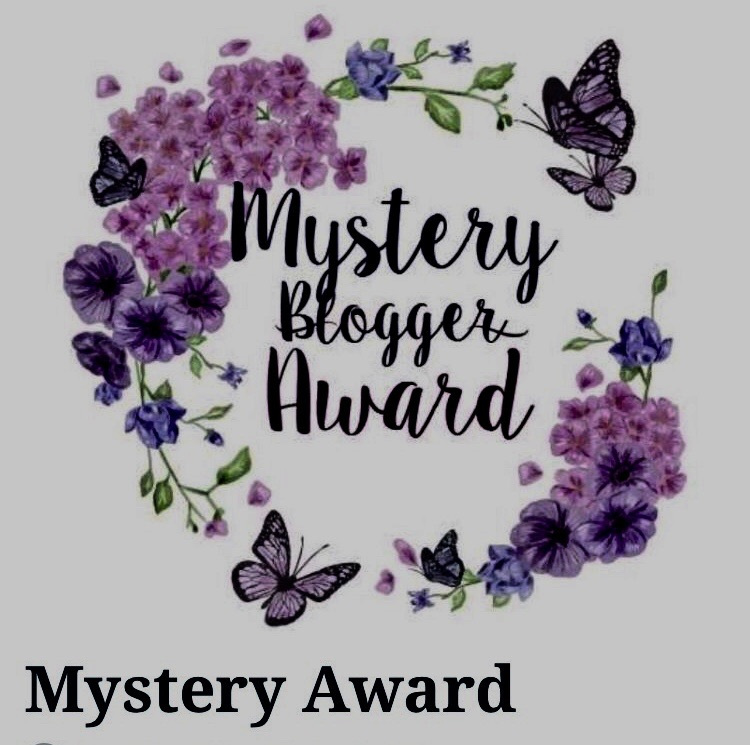 Thank you very much, dear Sunset-Sunrise for having nominated me for the Mystery Blogger Award. 1.) My thankfulness goes to my Master Sant Kirpal Singh Ji, Dr. Harbhajan Singh and his wife Biji Surinder Kaur who have taught me how to swim in the ocean of life. 2.) Helping people in need makes me happy, live and do for others (not according to their wishes, but everything that is essential with regard to their body, mind and soul). 3.) I love to be in the nature and feel one with it. 1.) Where would you like to travel to? I like to travel to Kirpal Sagar, a place open for the whole mankind. There, noone is anymore separated by religion, skin-colour, Nation or culture – all are welcome there and all religions are peacefully under one roof in the middle of Kirpal Sagar where there is a holy pond with a marble ship symbolizing the journey across the Ocean of Life with the symbols of all world religions on top of it. Not onyl social work can be done there selflessly, but one can also feel the beautiful atmosphere of oneness and unity and the spiritual development in one’s heart. There, not just theory is taught, to become a real human being, but everyhting is put into practice there. 2.) What is the one favorite food you like to eat? There are two ways of taking food to us. The food for the soul and the food for the body and mind. So I prefer to give first food to the soul when sitting night time in deep silence and practising: Surat (attention) Shabd (Guru, Master, God) Yoga in its two aspects: light and sound. The outer religions point to light and sound (candle light, bell for example) as reflections of what is inside us. And in the Bible we have: “”If thine eye be single thy whole body shall be full of Light.” And what is this single eye? – It is the Third Eye, Shiv Netra, Divya Chakshu, Tisra Til, or Brahmrendra in other names, which is the only door that leads inside, all other doors of the human body lead outside. So from within we receive parshad or food for the soul. However, our soul does not get food from the astral, causal or even super-causal plane – as this still is mixed with matter. This kind of food goes to our mind and does not help us on the true path of spirituality. “It is the message of all religions that man is able to attain Godknowledge by ‘tapping’ inside. Saints, mystics of East and West, at all times, got inner knowledge by way of contemplation and meditation. This is why the human body is called ‘temple of God’ “. Food for my body is vegetarian food, preferable fresh vegetables and fruit and even simple meals. God is Wordless, Nameless, Ashabd. When He came into being, into expression, that Absolute God wanted: “I wish to be many”, there was vibration that resulted in two things: Light and Sound. God is Light. God is Music of the Spheres – Nada. These are the two outward expressions of God-into-expression-Power which is controlling the whole universe and also controlling us in the body. That can be contacted when we rise above body-consciousness to the seat of the soul in the body, which is at the back of the eyes. So, it is a practical question which can be demonstrated. When you see for your own self what is what, then on­ly you can be convinced, not before. When I started “blogging” I have just used the possiblity to store all my digital photos and poems on the internet using it as a kind of “cloud”. Last year my real blogging began to share spiritual wisdom, inner richness and experience with all bloggers who have similiar interests. 4.) If you could meet one person in the world who would it be? 5.) What is your favorite hobby? In fact I have quite many hobbies: such as Digital Art, writing Poems and Aphorisms, reading Spiritual Books (carefully chosen ones), Languages (I studied 5 languages), Travelling, Classic Music and Oldies, Graphology and Genealogy, Cooking. Other interests: Helping people at home and abroad (in India). The favourite one is: Helping people. 1.) If a King puts many precious things in front (money, land, precious diamonds, a high ranking position) of you and he asks you that you can choose what to take – what would it be? 2.) How can we change ourselves to contribute to a better world? 3.) What is your purpose of life? 4.) Our society produces good and bad things. What can be improved? Please, have a look at her spiritual coloured and interesting blog. Amira is an open-minded, positive thinking person and shares beautiful topics on the level of the heart to her bloggers. 2. 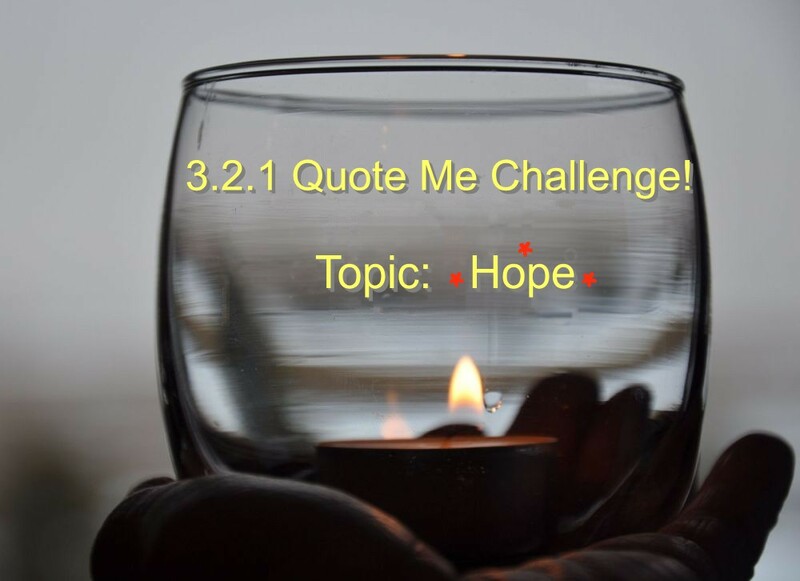 Post 2 quotes for the dedicated Topic of the Day. 1. “You may say I’m a dreamer, but I’m not the only one. I hope someday you’ll join us. And the world will live as one.” – by John Lennon. 2. “Do not go to the garden of flowers! John Lennon expresses in his quote his “Dream of Oneness and Unity” in our world – this is just what lies in my heart. The hope that we all understand us as One and when we all belong together – should we still fight, should we still have not enough respect and trust to each other, threaten us, separate us from Oneness? We should learn to understand that we all sit in the same boat. If each of us takes care (responsibility) that no water will come into our boat, then we surely can take our trip peacefully on the ocean of life in harmony and respect with all nations and religions, with all human beings under one roof: Humanity! Kirpal Singh Ji, who has started this project which was then carried out by His disciples: Dr. Harbhan Singh and his wife Biji Surinder Kaur. Today one can see that it has become a small paradies, but in future it will be a pilgrimage town for millions coming from all over the world. Beside man-making the aspect of unity of man that we are all one, is taught and practised there as well. Didis Art Design or to write it correctly: Didi’s Art Design – derives from my nickname: it has its focus on digital art and spiritual content through poems and aphorisms. Not really a summer goal, but my goal is to become a better person and to weed out shortcomings, one by one… and not to see the mistakes in others, but the good sides in them. Inside: the inner music, the divine sound that penetrates and vibrates through the whole creation, also called: “music of the spheres”. Quote (exert from the book “Naam or Word” written by Sant Kirpal Singh): “This Sound develops through ten different aspects because of Its manifestation through the different tubes of the body (Nadis); it sounds like thunder, the roaring of the sea, the jingling of bells, running water, the buzzing of bees, the twittering of sparrows, the Vina, the whistle, or the sound of Shankha (Conch) until it finally becomes Hu the most sacred of all sounds. This Sound Hu is the beginning and end of all sounds, be they from man, bird, beast, or thing.” – Therefore these sounds are the outer symbols which we find in the religions (bell, gong, conch etc.). Outside: Oldies and classic music, Indian shabads. To be a tool in the hand of God. I have started maybe 7 years ago or even more, but at that time I was rather inactive and started to be active last year in January. No, I very seldom watch TV. Going to India, Kirpal Sagar to help build up Kirpal Sagar and support the poor and needy people. When starting opening this blog I have rather used it as a kind of “cloud” to keep my poems and digial art save. Yes. When my Master Sant Kirpal Singh Ji went to America many years ago, He was asked in a show how He would describe in a few words the universal teaching of competent Masters. 4. I like children very much. So once I asked my grandchild (to be a bit funny to her): Do you happen to know where Selma is? (her name is Selma). She was then at the age of a bit over 3 years. She watched first a bit confused but then turned her look to the nearby table and answered: “Perhaps she is under the table…” – that was more than amusing – to give an answer like that at such an age. 5. I love languages and the best language for communication is: the language of the heart – there we find no borders beween us people. 8. When I was young I used to practise acrobatic position without know what I was doing. Later when I practised Hatha Yoga I became aware that all “asanas”, even really complicated asanas turned out to be yoga postions. 10. As I love it to help and support people (it’s not that I in me but that divine power in me that wants to help), I have asked the local priest here to be of help to lonesome people: So I got an address of a person who had already had 3 brain strokes and is a bit lonesome too. We got in contact and exchange our thoughts and words regularly since then. We became good friends. 1. What was the most impressive event in your life? 2. Which music instrument you like best? 3. Your favourite music band? 4. How to bring religions together in harmony? 5. If you could choose an extra school subject – what would it be? 6. Can politics bring a change in the world? 7. Why it is important to learn from own mistakes? 8. What is love for you? 9. What is most annoying for you? 6. What are for you the most important virtues of man? 7. Do you think violence can be stopped with violence or war with war to achieve peace? 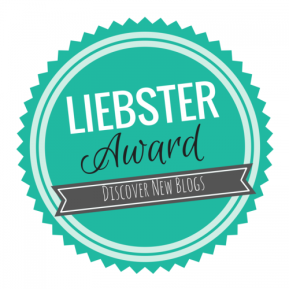 Thank you, dear blogging friends 🙂 – and no problem in case you do not participate – it is just a matter of fun which you may or may not join. 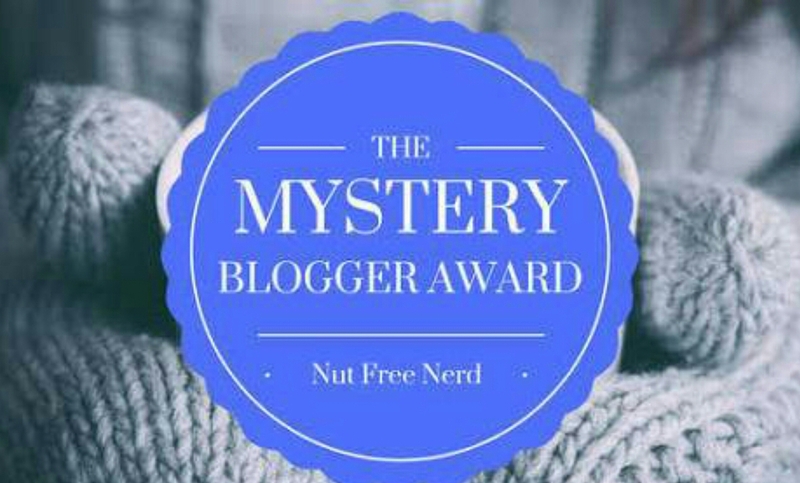 Thank you very much, dear Haveyouevernoticedblog, for having nominated me for the Mystery Blogger Award. 3.) I am a vegetarian. 1.) About what do you wonder? 2.) If you could only wear one color, which would you choose and why? I would chose “white” as this is useful when it is really warm and allows you to keep such clothes always clean as otherwise each spot can be seen easily. White and yellow are divine colours as well. 3.) What type of books do you like to read? I love to read books by the compentent Master, writen by Sant Kirpal Singh: “For example: “The crown of life” (this book explains the different most common yoga types and how far they reach), “Mystery of death” – it explains in details what happens with us after leaving the body – and this can only one explain who has made such inner experiences. Then also books from Kabir: “The Anurak Sagar” – it deals about how our world came into being and gives excellent description of the purpose of life for those who are more intellectually thinking. Another book by Kabir: “The Dialogues of Kabir” – Also a spiritual treasure to gain understanding over our purpose of life, the higher values of life. 4.) What snack do you have to have in your house?? I do not have something special that I have to have in my house, but what I have is all vegetarian food. 5.) If you could have a “wake up” song, which would you want it to be? 1.) What is most important for you? 2.) How to improve our world with more harmony? 3.) We see a few rich and very rich people in the world and in opposite many many poor people – what can be done to distribute the money more fairly? 4.) What are the main reasons of egoism? 5.) If you were a king or queen how would you treat your people?